The photo is of the ‘Grade C’ No. 46 trainees at Wood Norton, from June 1964! 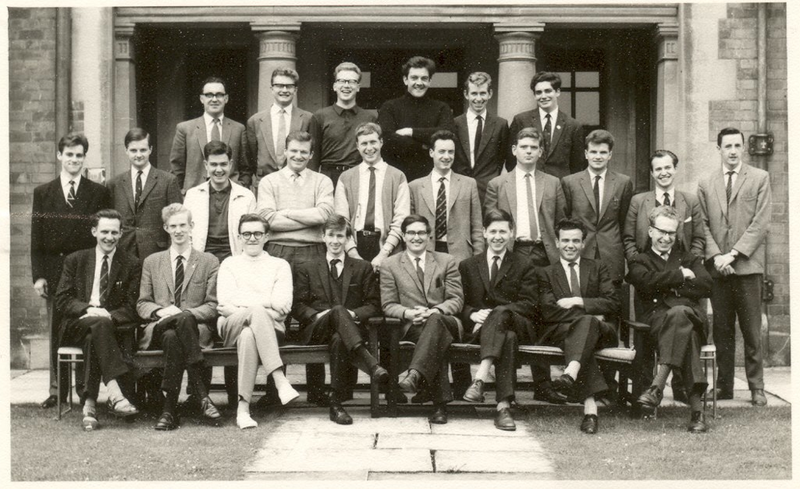 Pebble Mill’s telecine engineer: Jim Gregory is on the front row, fourth from the left, and Pete Simpkin (who became a Radio Birmingham producer/presenter, after a stint in Southampton), is third from the left in the middle row. Pete remembers that the trainees had a use a mix of different cameras, including two Marconi Mk 1′s, an EMI vidicon and an Marconi Mk 3 3″ IO. Thanks to Pete Simpkin for making the photo available.